The sound of your voice is like a cake: it’s the delicious result of different ingredients mixed together. This includes your cadence, tone, speed, and volume, all of which add up to the final result. For presenters, being understood is everything. But even more than this, studies suggest that people determine how trustworthy or dominant you are within the first 500 milliseconds of hearing your voice. The pressure may seem enormous for you to improve your speaking voice with a stat like that. Do you mumble? Speed through your sentences? Speak too loudly or softly? This guide can be a great starting place to improve your voice before your next big presentation. If the sound of your voice is like a cake, let’s make it a gigantic competitive wedding cake on the Food Network. The Lungs – The fuel for your voice is collected here from the air that you inhale and exhale. When we breathe in, the rib cage expands and our diaphragm lowers. Then as we breathe out, the air leaves our lungs and creates a stream in the trachea which energizes the vocal chords and vocal box to produce sound. Think of a wind instrument like a flute or a trumpet; without the air rushing through it, it’s just collecting dust in silence. The Vocal Box/Chords – Once the lungs have begun the process of pushing air through the trachea, the larynx (AKA voice box) and two vocal chords on top of the windpipe are ready to work. As the air passes between the chords, they vibrate from 100 to 1000 times per second, which determines the pitch of our voice. Depending on how long and tense the chords are, our voice creates a unique sound as the air gets them moving. Projection – Even without air passing through, you can make a “buzz” noise with the vocal chords in your throat, also known as a hum. This ability is part of what’s called the “resonator system,” basically any part in our body that can project sound. The throat, nose, and mouth are all included along with the vocal chords. Anything that affects the lungs, vocal box, chords, or projectors can affect the sound of your voice. If you’ve experienced the pain of allergies and a scratchy throat, or even have heard the sound of a long-time smoker, you can see the way this system is affected. 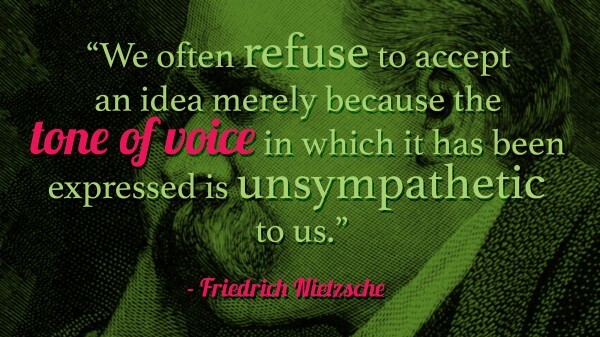 Our voice is the result of a complex, unique bodily system working in harmony, so don’t mess it up! Your voice is going to exhibit unique traits no matter how much work you put into correcting vocal errors; the goal is instead to improve what can be changed and thus be perceived as a dominant, confident, and energetic speaker. Volume – Does your voice carry through the entire room? If you were to put your recorder in the back of the room, would it pick anything up? Or are you so loud that you distort the recording? Speed – How quickly or slowly are you speaking? The ideal speaking rate is 120-160 words per minute; where do you clock in at? 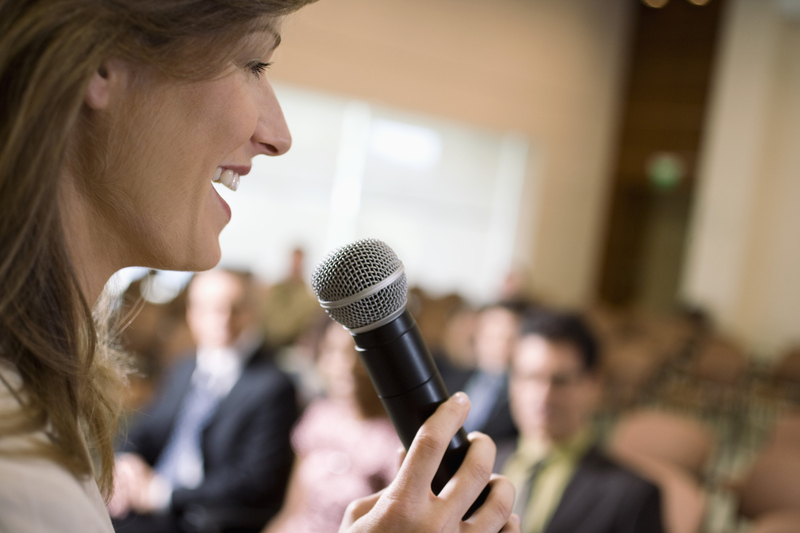 Clarity – Are you missing any words in your presentation due to mumbling or unclear speech? Listen carefully to the recording for any words that might have been missed. Breathing – Are you rushing through words and gasping for breath? A proper breathing technique is one that goes unnoticed. Think of all of the incredible, speedy rappers that exist like Busta Rhymes. No one has ever heard Busta Rhymes gasping for air, which is why he’s the greatest. 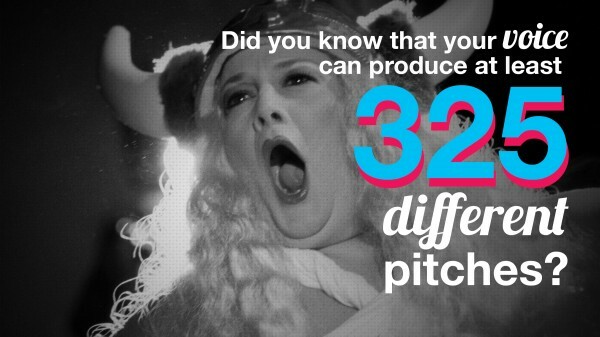 Pitch – This incorporates the highs and lows of your voice, and as per the study above, is important to vary to keep your audience engaged. Are you as monotone as your least favorite history professor? Or do you have enough ups and downs to rival a roller coaster? There needs to be a happy medium. Relax – Start by yawning, wiggling your jaw, humming, and inhaling a large breath for 15 seconds, then release for another 15. Remember all of those stages of vocal production? Most parts of those can be gently warmed up before you practice. Reading Aloud – This can help strengthen your pitch as well as your vocal clarity; start by picking a tricky passage and then adding as much “zest” or variation in your pitch as possible while you read it. Strength Training – Looking to push it to the limit when it comes to improving your speaking voice? The power of science can back you up. This set of exercises includes everything from a hissing noise practice to saying “ney” at all volumes. Put A Book On It – To practice mindful breathing techniques, lay down flat on the floor and place a heavy book on your abdomen. Sound crazy? This will help you become more aware as you breath with your stomach, teaching you to control those pesky muscles. Since the voice is heavily influenced by outside factors, be sure that you take excellent care of your throat, lungs, and vocal chords before your presentation. We have a mini guide of what to drink before a presentation for you to check out. Hint: you shouldn’t be drinking caffeine, alcohol, or any dairy products. All of those can build up mucous or irritate your throat beforehand. Unfortunately, there isn’t a magical vocal spray that will turn your voice into a Mae West clone. 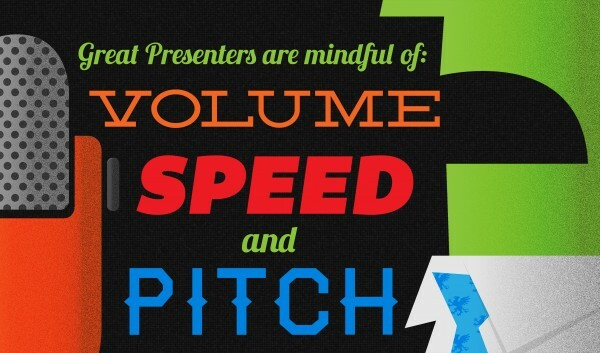 Mindful practice is the key to improving your speaking voice, as is the case with any other element of presentation delivery. But with evaluation, practice, and a few healthy choices, you too can deliver a powerful (and mumble free!) presentation. Question: How can you improve your speaking voice?